Was curious what other tasting rooms in CA do in regards to the 1.5oz tasting limit per person. Are you providing a small 1/4 oz taste of a few of your main products, then maybe letting them choose a cocktail with a 3/4oz pour? How do customers respond to being told they are only allowed one drink then they have to leave? Interests:All outdoor activities winter and summer. 7 years with large Nor Cal brewery... wanting to distill. A type 74 (craft distiller) license to distill in CA allows for 1.5oz total tasting per person per day that can now be served as a cocktail. With a type 74 you may also sell a total of 2.25 liters of spirit per person per day for off premises consumption. As for serving a cocktail and charging for it will be an issue to take up with your local government. I'm building a bonafide eating establishment in my tasting room. It will allow me to pour more than 1.5oz per person and have a full bar where I can even purchase spirits from others and serve beer and wine. As far as what constitutes a bonafide eating establishment is up to interpretation by your local ABC. Mine want to see a substantial menu with a variety of options- I'm doing a couple apps, a couple salads, flatbread pizzas, and a couple desserts. They said that would be enough but recommended I offer even more variety (I'll probably offer soup too) or they would likely limit the hours I could be open. Most other distillers I see aren't bothering with this BS and just offer either a 1.5 oz total tasting OR a cocktail containing 1.5oz. My knowledge in this field is minimal but we are looking into the eating establishment as well. It is my understanding that your food sales must make up 60% of your sales. This may be a local deal for us, but I would be interested in hearing what you come away with. Interests:Adventure Motorcycles, Off Road Trips, Fine Distilled Spirits. 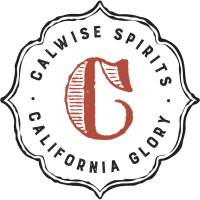 Good topic, and is a base for joining the California Artisanal Distillers Guild. We are going back to the state Capitol in 2018 to work on these issues. Currently, there is no work around on the 1.5 ounce total per person per day. Unless... you are doing a strictly defined private event (your definition must match CA ABC definition) or you have a bonafide eating facility and apply for that additional license. Before 1/1/17 you had to pour a maximum of 6 pours of no more than 1/4 ounce each. CADG had some clean up legislation passed in 2016 to address this, and now you are able to combine the max 1.5 ounce for a cocktail in any measure you choose i.e. 3 pours of 1/4 ounce and one cocktail with a 3/4 ounce. I joined CADG and would like to see the CA law changed to at least 2 oz., but preferably 3. 3 oz is two regular cocktails. Yes some people should not drive after two cocktails, but in general being able to serve two cocktails allows for a REAL tasting room experience without the hassle of dealing with people that stay too long and get inebriated... but while also helping to motivate customers to buy a bottle or three. At our place I anticipate some unhappy customers being told they cannot have a second cocktail (not quite open yet). They leave grumpy about the experience and it can negatively impact their opinion of the brand. Tasting rooms are really hospitality services and unreasonable rules damage the service capability. Starting a regular restaurant is a HUGE deal. It is can be a very big capital investment, and adds tremendous operating complexity to a business that is supposed to be manufacturing primarily. Selling a couple of full-sized cocktails to showcase our spirit, to provide a quality tasting room experience... it seems quite reasonable to me and seems unreasonable to limit the pour to 1.5 oz per person per day. This is about building a brand making spirits... the restaurant option might work for some as a revenue generator, but it detracts from the manufacturing focus IMO. Also, the CA craft industry needs to increase the 3-bottle sales limit to 6-bottles, or eliminate it completely. See Washington. In general there does not seem to be a rational argument for why CA craft spirits don't get the same tasting room capabilities as do beer and wine. This is a very deep subject that involves major players in the California market. By joining CADG you have taken the first step in working on a solution. All of the restrictions you are citing are rooted in limitations come up with by the California Legislature, not by CADG. Just this year we tried to change each of the items you mention, but were only successful on getting the distilling capacity limit raised. We need more DSP's to join CADG and to focus our voices. What we face now is big corporations who want to keep control by mandating what we can do via the legislative process. Keep in mind, what we currently can do was extremely difficult and expensive to win. Our membership is still small and the industry has grown, but many existing DSP's have not joined yet. We have to understand the logic behind the compromises we have made. The idea is we are a "Educational Tasting Room" not an on premise location. This was carved out in a new license and the 3 bottles was a compromise from Zero. We all want more, but we have to work together and raise money to become stronger as a trade association. Thanks for joining, and call any time to discuss further. Thanks Cris. I will be active once I get over the hump of opening the business for my nearly 4-year project. I understand the lift here... the work required to change minds when there is a lot of resistance from the big boys. I appreciate the work to date. You, Jim, Timo and others have absolutely moved the regs forward to being more reasonable with respect to what beer and wine can do. Hopefully we can keep plugging away making incremental progress.